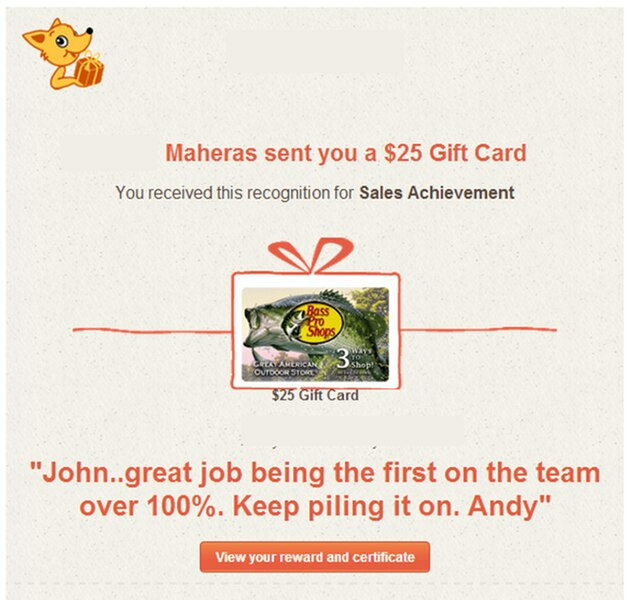 We make it easy to say thank you at work. Entrepreneur Magazine named us a "Brilliant Idea" and we are thrilled to partner with HR teams at companies looking to update their peer, service, and on-the-spot recognition programs. 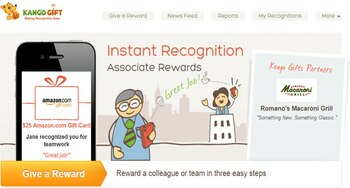 With a simple and all digital approach, we help make recognition a timely and authentic experience for your employees. Our tools are integrated with IBM's social and talent platforms or can be used as stand-alone offerings. Simplify the administration of your various recognition programs with an all-digital platform. Capture, deliver, and report on all recognition activity from one easy to use tool. Eliminate the need to ship recognition awards. We offer a catalog of e-gift cards from brands across 20+ countries to simplify the delivery of every award. Authentic and timely displays of appreciation are always welcomed. Our tools provide you with one more resource to improve communication among your workforce. Recognition programs do not have to be complicated. Our approach helps you bring multiple programs onto one platform and deploy programs that employees find easy to use.